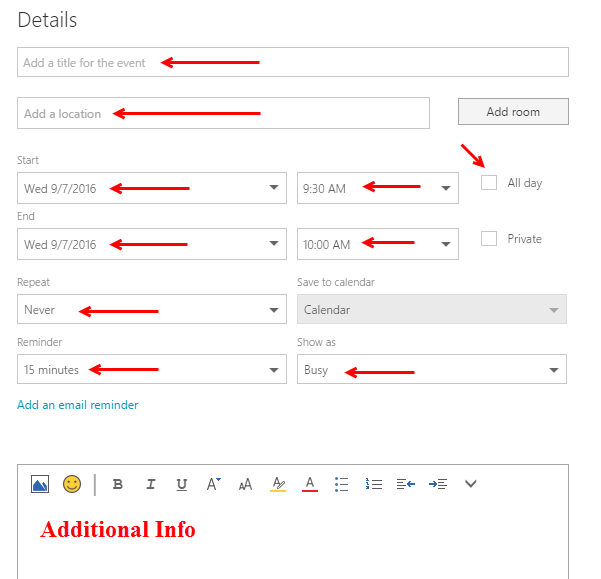 You can schedule a meeting in Outlook and invite your attendees. You can also use the Scheduling Assistant to check everyone's free/busy time and schedule the meeting accordingly. Step 1: In Outlook, open your Calendar. Step 2: Click the Home tab and select New Meeting. Step 3: Click To... to invite people to your meeting. 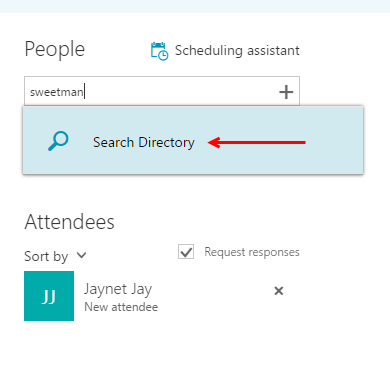 Step 4: Select the name of a person you wish to invite, then click Required, Optional, or Resources to dictate that person's attendance role in the meeting. Step 5: Repeat Step 4 for all attendees. Click OK when you are finished. Step 6: Enter a subject, location, and start and end time. Type any meeting details. Step 7: You can choose to set a notification alarm and your free/busy options. Step 8: Click Send to invite the attendees to the meeting. 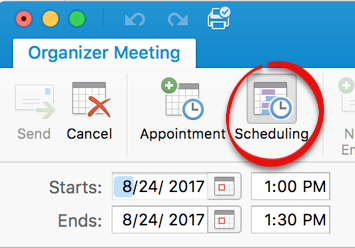 While you are creating a meeting, you can check your attendees' free/busy time to schedule the meeting at a time when everyone can attend. Step 1:Create a meeting and add your attendees (Steps 1-5 of the instructions above). 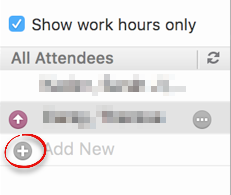 Under the Meeting tab, click Scheduling Assistant in the Show group. 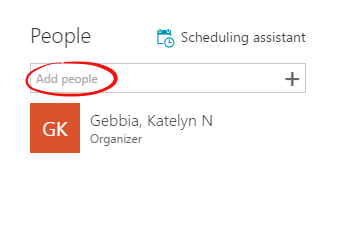 Step 3:You will see free/busy times for everyone in the list that keeps an Outlook calendar. 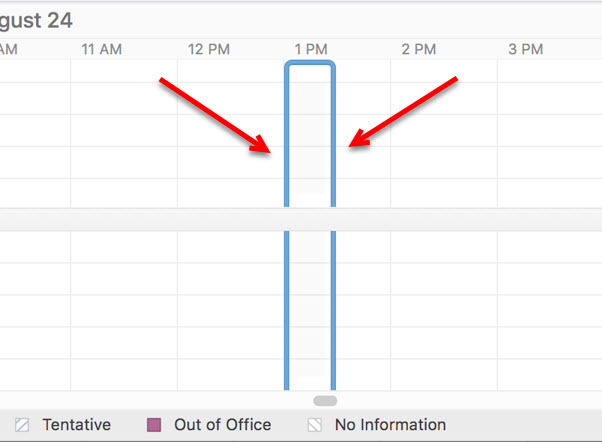 You can click on an empty time slot to schedule a meeting during that time. 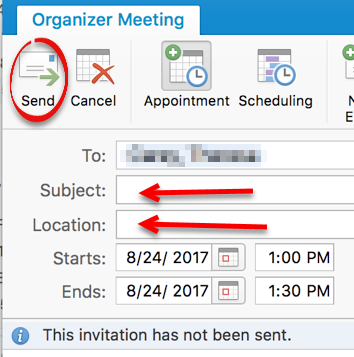 Step 5:You can change any preferences and click Send to send the meeting invitation right from the Scheduling Assistant. 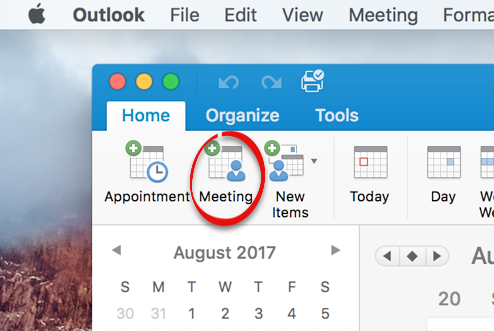 Step 1:In Calendar, create a new meeting by clicking the Meeting button. 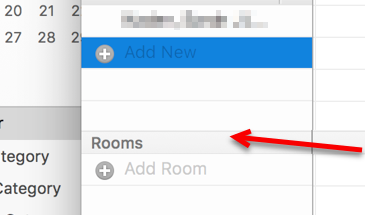 Step 3:If the “Rooms” bar obscures more attendee rows, just drag the Rooms bar down. 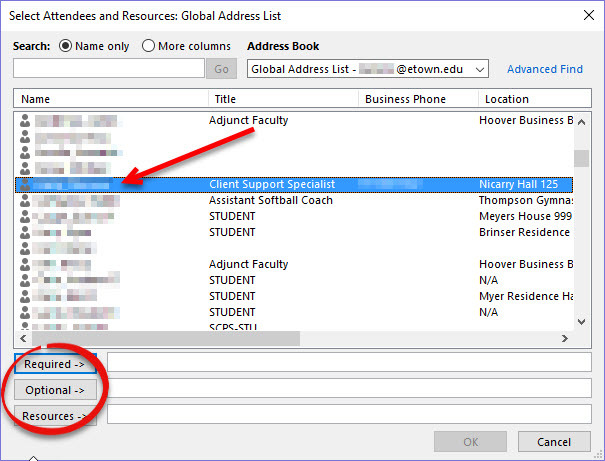 Step 4:Click in a blank All Attendees cell and type the user name, or click the + to select an attendee from a list. Step 5:Once all the prospective attendees are listed, scroll sideways to find a time which will fit into everyone’s schedule. Step 6:Once you find a likely date and time, adjust the time by dragging the blue lines. 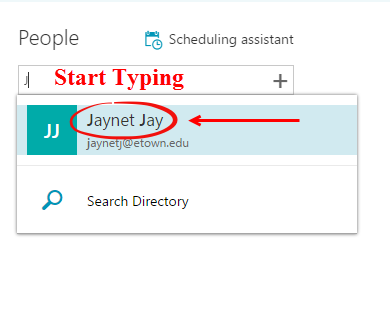 Step 7:You may type a start and end time in the Starts and Ends time boxes if you would prefer not to click and drag. 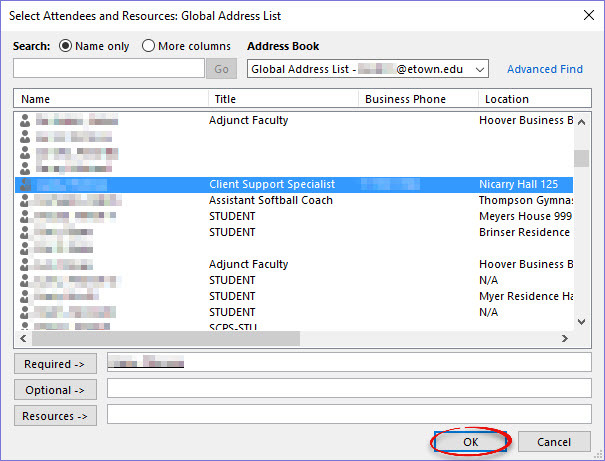 Fill in the Subject and Location boxes, then click Send. Step 1:Click the square in the top left hand corner of the screen and select Calendar. Click New at the top of the screen. You can also double click on the date or time slot in your calendar when you would like to set the appointment. Fill out the meeting information including subject, location, time, repeat, and reminders. Add People to the event. Start by typing their name in the box and select their name. Check the box Response Request. Contacts will appear. If the name does not appear, click Search Directory and their name will appear below. 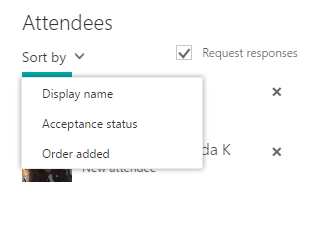 Click Sort By to arranged attendees by Display name, Acceptance status, or Order added. Click Send to email your attendees about the event.